Other Publication Information: 128 pages – full color profiles, plans and modeling section. Thanks to SAM Publications and Paul Bradley for the review copy. During the IPMS National Convention in Columbus, I bought the Modeler's Datafiles 12, 13 and 14, on the F-4 Phantom. I was impressed with these books, and I'm impressed with this one too. This book has all the information a modeler needs to build a Hawker Hunter, including a kit listing, a decal listing and an accessory/conversion listing. I find I spend a lot of time looking for info on aircraft I build, and this book will save me on research next time I build a Hunter. Whew! The best part of this book is that it is well written. I sat down and actually read this book during the boring parts of a football game. The photographs are good quality, some are excellent, and they illustrate and add to the text. 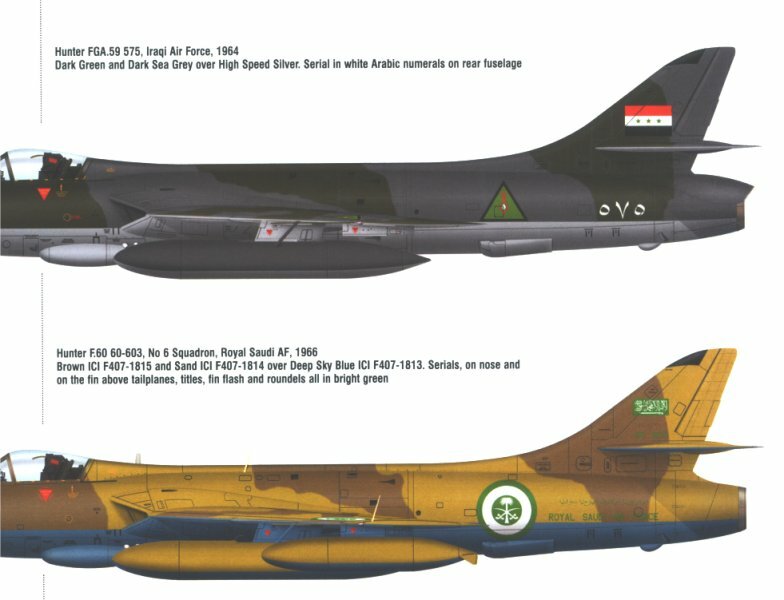 Because the Hunter was used by so many export customers, there are many choices for marks and markings for the modeler. Mr. Bradley's choices for profiles and markings run the gamut from the 1951 prototype to the 1990s Swiss F.58. The walkarounds are also very useful and comprehensive. There are 5 pages (13 photos) of the cockpits, 8 photos of ejection seats, and the fuselage is covered by 11 pages with 42 photos and 15 explanatory drawings. The modeler's sections are so very useful too. Mr. Bradley doesn't just describe the various Hunter models available, he built them. Not just the modern, readily available kits, but the old Frog kits, the Revell kits in 3 scales, the PJ Production resins, the Academy kits, and the Matchbox kit. There's also a listing of all Hunter kits, including some he knows of but has never seen. The accessories and decals are also quite complete. There's also a wonderful set of 1/72 scale drawings in a foldout inside the back cover. These are an excellent reference if you're not sure of the shape of a Hunter kit, and the drawings cover from the F.1 to the G.A.11, including both straight and saw-tooth leading edges. And in the back is one of those things I wish I had for some other aircraft. It's a listing of which RAF squadrons had Hunters, at what time, and which base they were at. 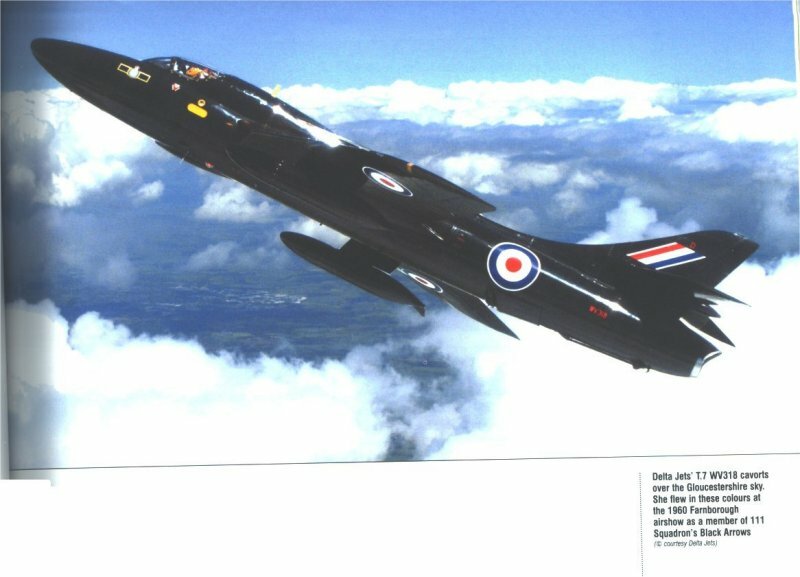 This publication is definitely recommended if you're interested in British Aircraft, or think you may need to build a Hawker Hunter some day. It's a one-stop modeling reference, and has everything you need except for the kit, the glue, and the paint. And hey - it's written by an IPMS/USA member to boot!